Microblading, sometimes referred to as 3D Brows, is an intricate semi-permanent eyebrow reconstruction treatment in which organic pigment is deposited superficially into the skin using a specialized brush-stroke tool. 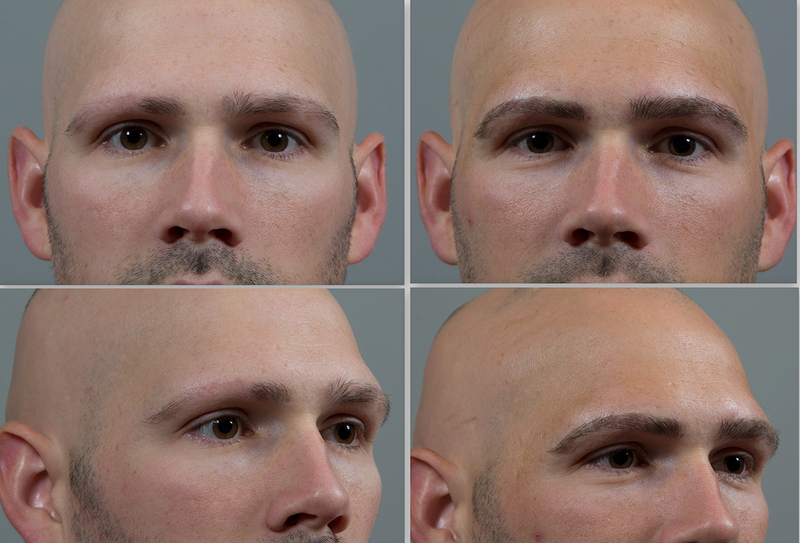 This minimally invasive treatment is as much of an art as it is a science, and produces extremely realistic, precise and natural hair-like strokes that create the appearance of a fuller, bolder brow. Unlike traditional eyebrow tattooing, which is permanent and can look artificial, the results from a microblading treatment will last anywhere from six to 18 months (dependent upon skin condition). It is recommended for patients who have over-tweezed, are experiencing hair loss or have patchy eyebrows, or simply desire to achieve a better brow shape. WHAT MAKES MICROBLADING DIFFERENT AT SEILER SKIN? Seiler Skin’s microblading artist, Ashley Strickland, has been expertly trained by industry leaders at PhiBrows Academy – the most prestigious microblading academy in the world. She underwent rigorous hands-on training, exceeded all skill-certification requirements and perfected her technique to ensure any patient seeking a brow enhancement at Seiler Skin receives world-class care and accurate, natural-looking results. 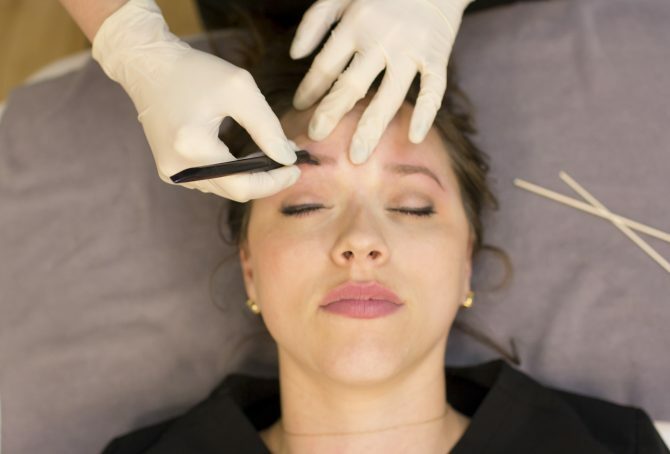 While most men and women are good candidates, each patient will first meet with Ashley and Dr. Seiler for an individualized consultation to understand his or her concerns and determine if microblading is the best option to achieve desired outcomes. Prior to undergoing treatment, Ashley will map out the shape, width, diameter and length of our proposed brow enhancement strategy on the skin using a removable pencil, allowing each patient to critique and approve all treatment parameters. Our thorough consultation process enables us to customize treatment to a patient’s specific concern, and achieve results that are exactly in line with expectations. Dr. Seiler fully is committed to delivering the highest quality of care to our patients, and therefore is very involved in the planning and supervision of every microblading treatment performed at Seiler Skin. WHAT ARE THE RESULTS OF MICROBLADING? *Microblading can be a life-changing experience for patients who have alopecia. WHAT SHOULD I EXPECT IMMEDIATELY AFTER A MICROBLADING TREATMENT? Immediately following a microblading treatment, your eyebrows will appear very defined and darker (up to 40 percent bolder) than they will look once the healing phase is complete. Patients might experience mild redness or tenderness for the first 12 hours post-procedure. Five to seven days out, it is common to experience some flaking and peeling on the treated areas. However, you should notice that your brow color has lightened and softened significantly. Six weeks after treatment, patients should return for the second phase, which involves another evaluation and the application of additional pigment to any areas in which it was not fully absorbed. This secondary evaluation and “touch up” is crucial, as it allows us to ensure patients leave with the best, most natural-looking results. WHAT IS THE SOCIAL DOWNTIME FROM MICROBLADING? Microblading is a minimally invasive, minimal downtime procedure. After treatment, you immediately can resume normal activities. However, you should refrain from sweating, wetting your eyebrows or applying makeup to the surrounding area for at least seven days.